I had more reader contribution photos but a thumb drive failure caused me to lose all files. Fortunately, my pal Doug sent this to me yesterday and I can think of no better shot to end October. 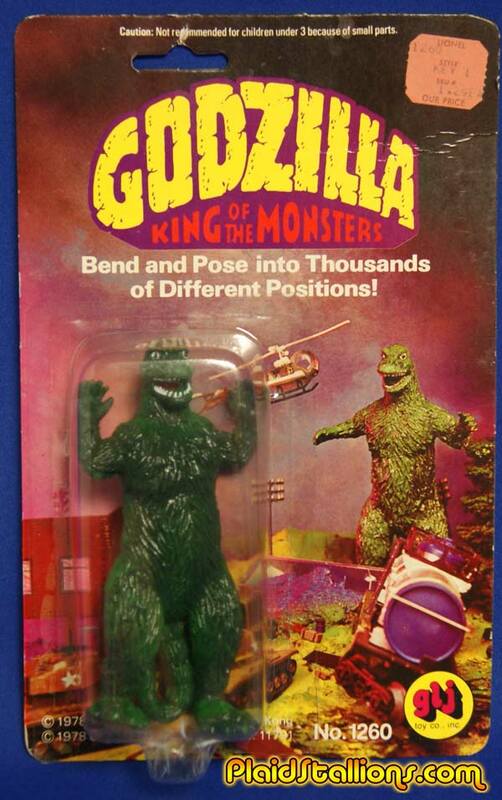 That's Doug as Godzilla and it's really fitting, as he's the guy who helped me score this toy last year. 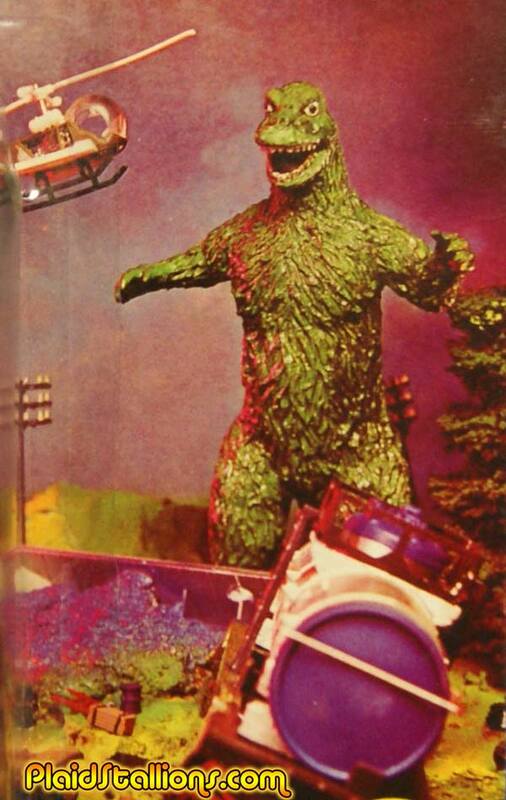 Having never met him, I admit I picture him as Godzilla. 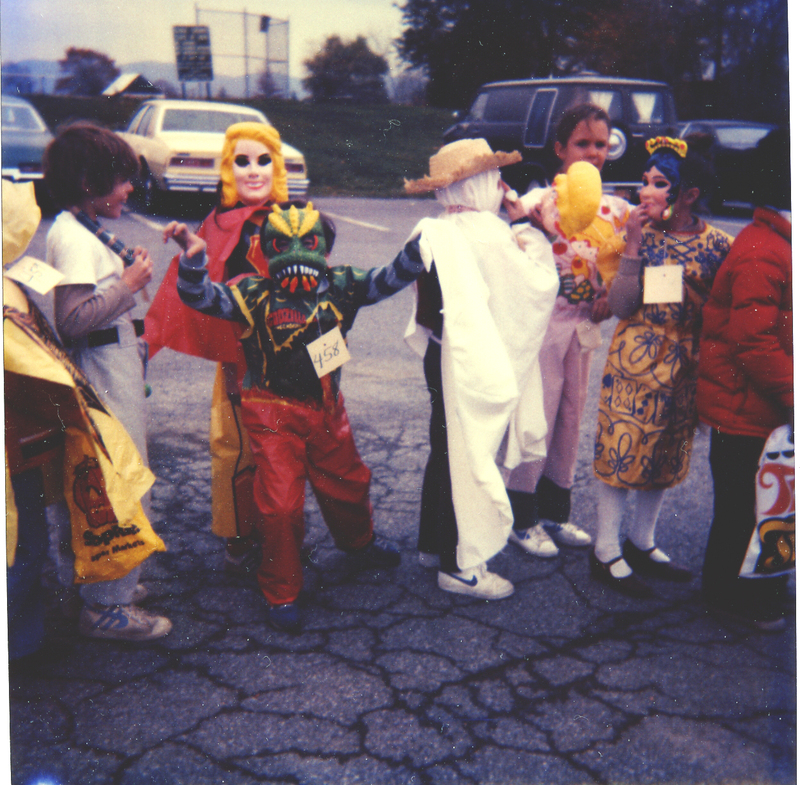 I think the reason I love Halloween is it renews my faith in the human spirit, I wandered around with my kids this evening and saw folks putting together great efforts to welcome children and be kind to them. There's no stress, no tension, it's just harmless fun. 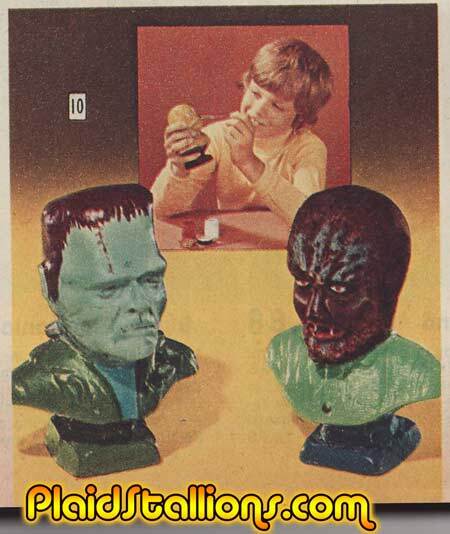 Combine that with my love for monster movies, toys and the combination of Peanut Butter & Chocolate and it's something of a no brainer. Happy Halloween everyone, I'm off to pilfer my sleeping children's candy right now and watch "Assignment Terror" for the gazzilonith time. 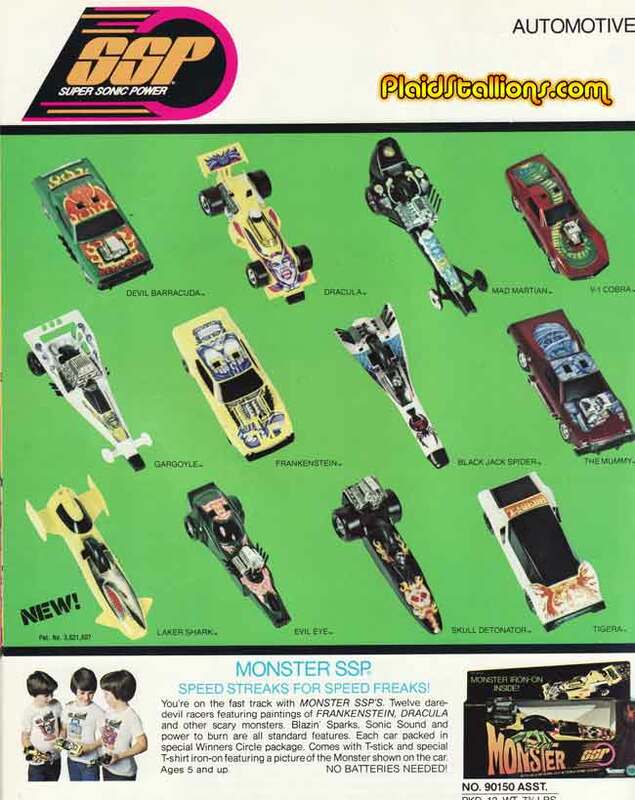 Followers of this site and blog will know that Collegeville is a favourite subject around here, that's likely because I got a ton of these as a kid combined with the fact that they got some really cool licenses. 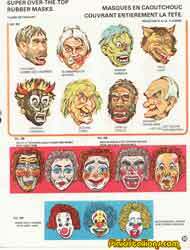 This is a Canadian version of the Catalog (by a company called Norbin) and I highly suspect that some of the masks and other sundries come from sources other than Collegeville. 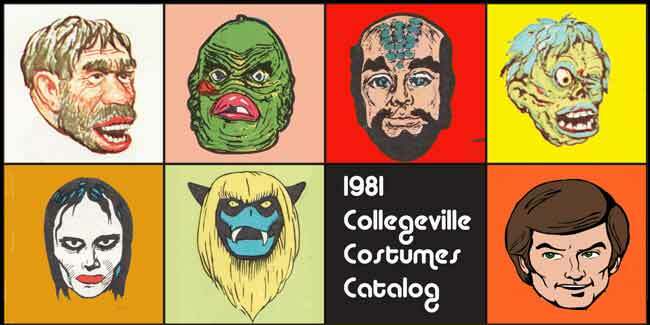 1981 was an interesting year, we have staples that have been around since the early 1970s and hot new licenses like Thundarr the Barbarian, Mightyman and Yuck, Fangface, Star Trek: The motion picture, Clash of the Titans and many more. 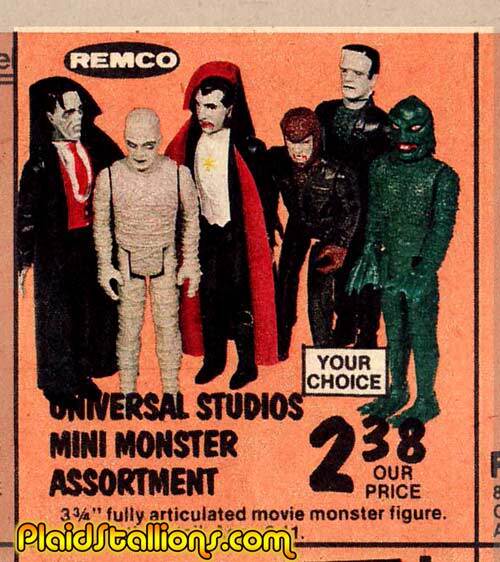 It wouldn't be Halloween without me extolling the sweet virtue of Remco Mini Monsters, a line I love collecting. 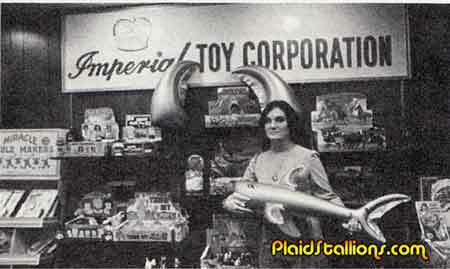 Above is a snippet from a 1980 Toys R Us flyer that will appear on the site before Christmas some time. While the Mummy, Frankenstein and Dracula could be argued as Public Domain, there is no way in hell that the car marked "Gargoyle" is anything but the Creature from the Black Lagoon. This copyright infringement doesn't slow my desire to own these but sadly as I've discovered, they're really tough to find these days. 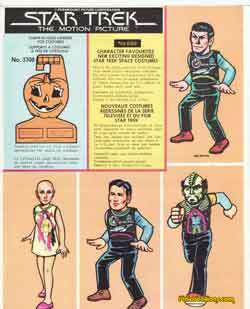 While many of you may have been aware of this vintage bendy from toymaker GLJ, I was blissfully unaware at how cool it was. 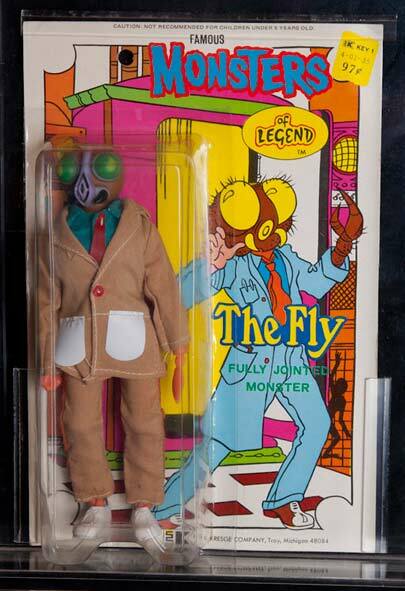 I periodically search GLJ on Ebay in hope of finding a Monster Squad Frank Bop Bag (someday) and this little guy popped up instead. It was love at first sight, the figure is cool enough but the amount of care that went into that card is truly special. It's like the set of a cool stop motion Godzilla movie you really want to watch. There was no need for GLJ to put in this kind of detail but they did anyway. I am truly smitten with this thing. I stumbled upon this auction and it's so up my alley that it bugs me. 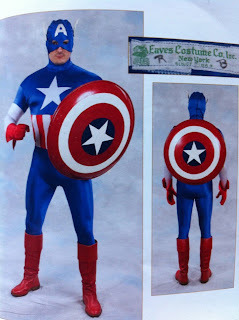 This is an original Captain America Mall Appearance suit by Marvel. I saw Captain America at Woolco when I was five, so needless to say, my non ownership of this is a problem. Introducing Man Mates Fashion Outfits for Brick! this is one of these occasions. 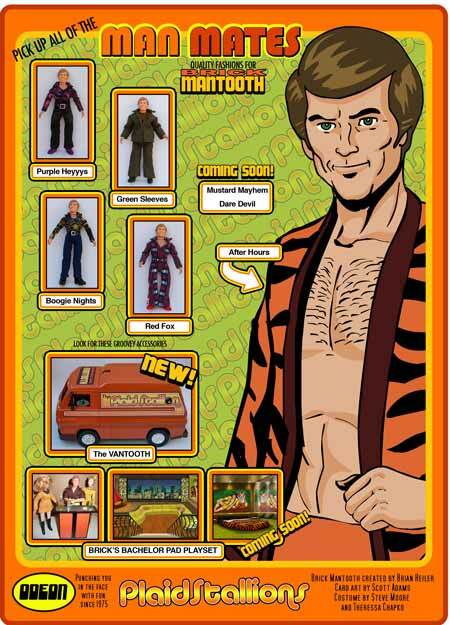 My pal Steve has whipped up a series of fashions for the Brick Mantooth doll. Named "Man Mates" (after the classic JC Penney series of leisure suits) each represents a different, authentic 70s outfit. Honestly, he not only gets the concept, I'm a little worried about him. Above is "Purple Heyyys", the first of many, finely crafters, limited edition Brick Mantooth outfits to come out and there's more. The very talented Scott C Adams whipped up this fantastic packaging art for the series. Purple Heyyys is available for sale right now here but it's almost sold out, once it's gone, it's gone. 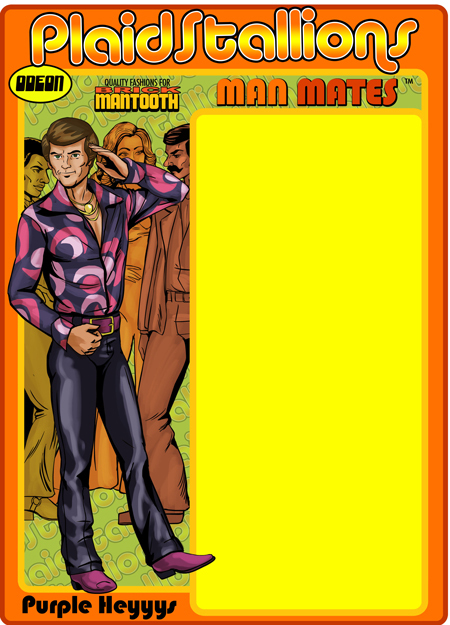 Look for more "Mantooth Variants" in the coming months, including a few I've cooked up on my own. 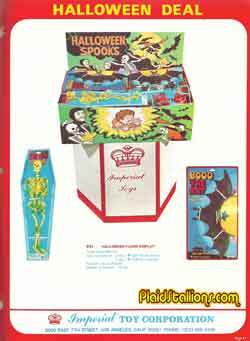 Halloween is always the best time to talk about rack toys, specifically ones made by Imperial Toy Corporation, who had a year round selection of rubber bats, bugs and skeletons. 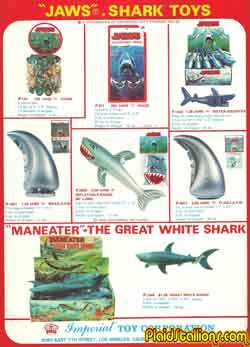 "Jaws" license and marketed a series of cool inflatable toys. 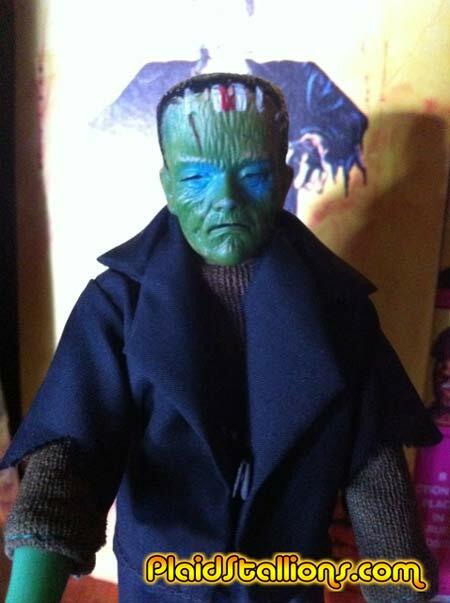 It's not October if we don't discuss the AHI Monster dolls and we've got a couple of additions to the galleries starting with this killer variant of Frankenstein (courtesy of my pal the Kidd). I've never seen eyes like this one. The back of the box shows that original AHI card art was used in it's construction but there is no manufacturer name. 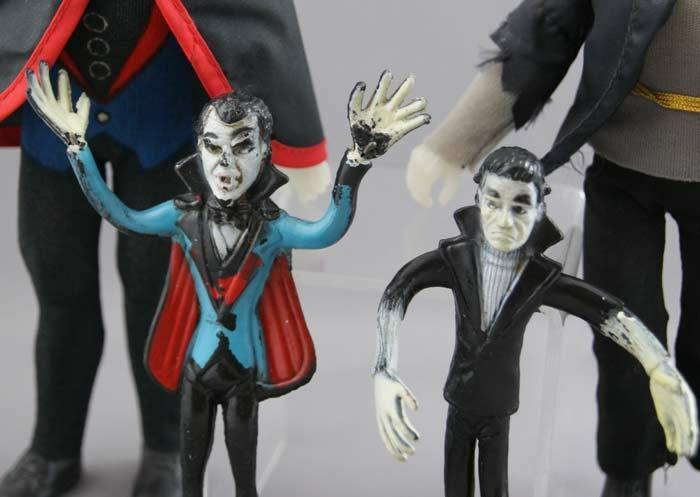 My best guess is these were created to sell some end run overstock of Dracula figures. Only a couple of these have ever surfaced. It wouldn't be October without me droning on about how cool these are and followed by my whining as to why I don't own them. Why break tradition? 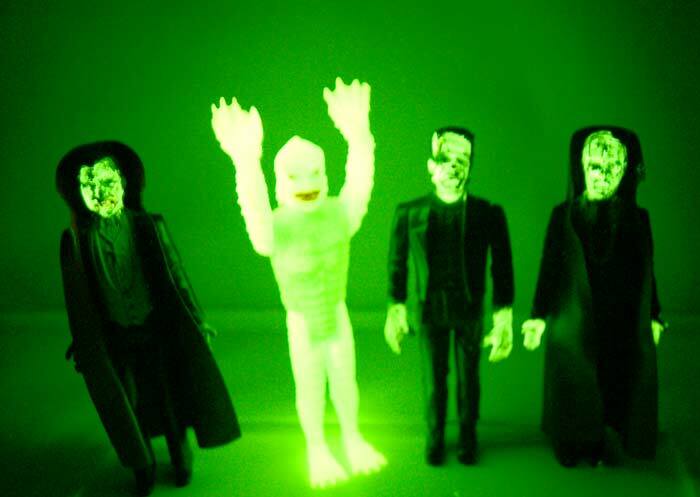 Glow in the dark was always a selling feature for me as a kid, it really gave toys some extra play value, especially anything related to monsters. So i thought it would be fun to turn out the lights and see these things in action. 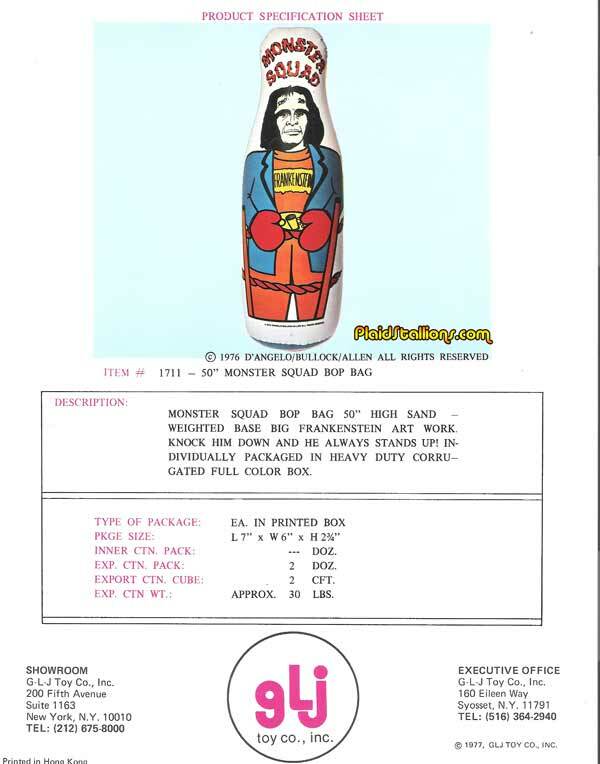 Above are the Remco Mini Monsters and there is more incandescent toy action after the jump. 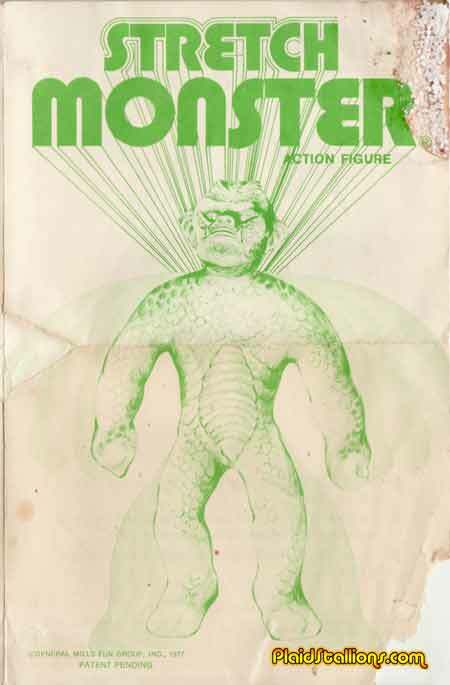 I LOVE it when folks share their collections with me, especially when it's stuff near and dear to my heart like Monster toys. John was kind enough to give us a peak into his lair today and it's a drool worthy assortment of old and new, more after the jump. If you dare! 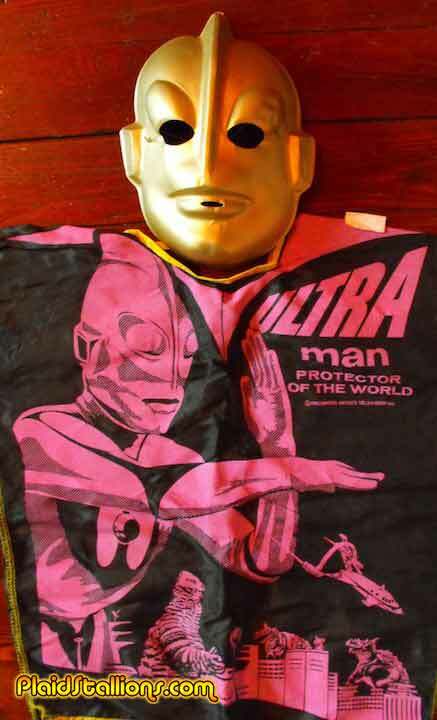 As much as I'd like to say I own this killer Collegeville Ultraman suit, I don't. Fortunately for me, Corey volunteered some shots of his collection to the blog including the two variations of this classic suit, more after the jump. 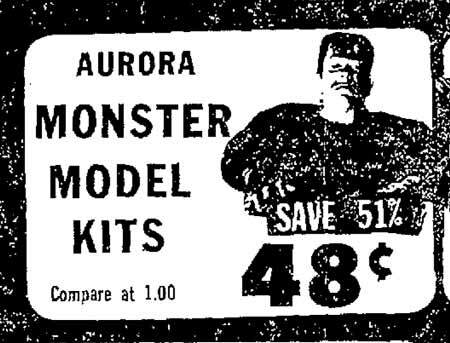 My love for the Aurora Monster model kits knows no bounds, I've bought and re bought them several times over during my life and I'm currently repairing the ones my kids and I did over the years. 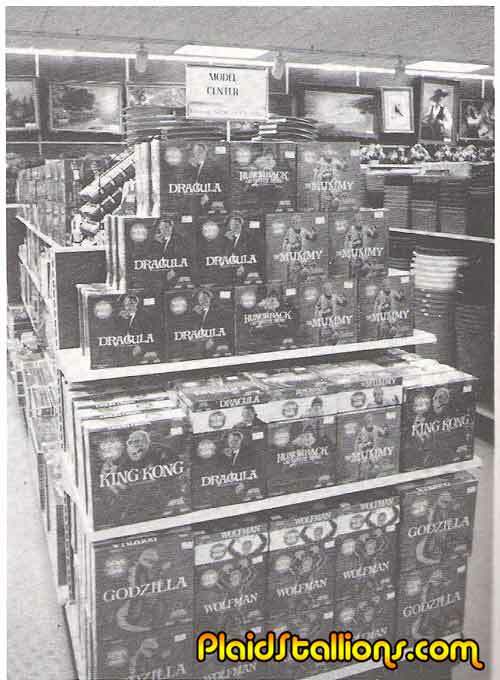 I thought it would be fun to go through some old timey ads where they could be purchased with pocket change. 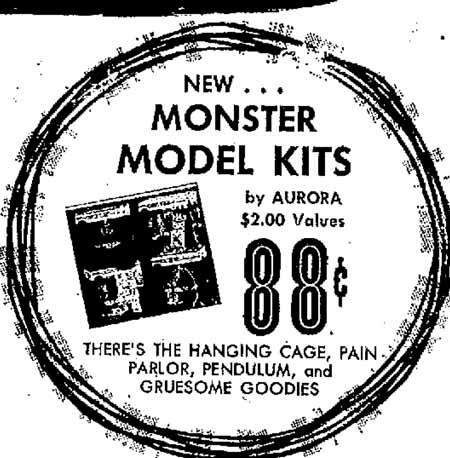 Above we see the effect of the media blow back from the Monster Scenes kits, apparently parents groups got offended by the concept of torturing nubile victims, who knew? $0.77 at Westons for some glow in the dark goodness seems like money well spent in 1973. 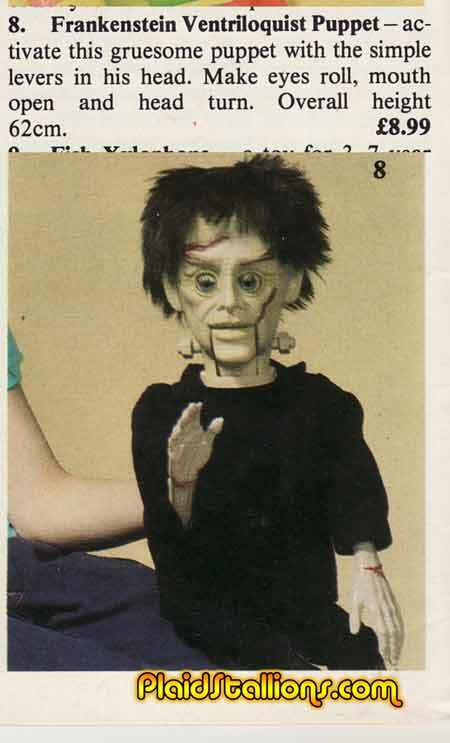 I am not at all fond of Ventriloquist dummies but I am somewhat smitten with this Frankenstein version from the UK. Mostly because it's really easy to drink a glass of water and go "Mrrrrrrrrrrrr". 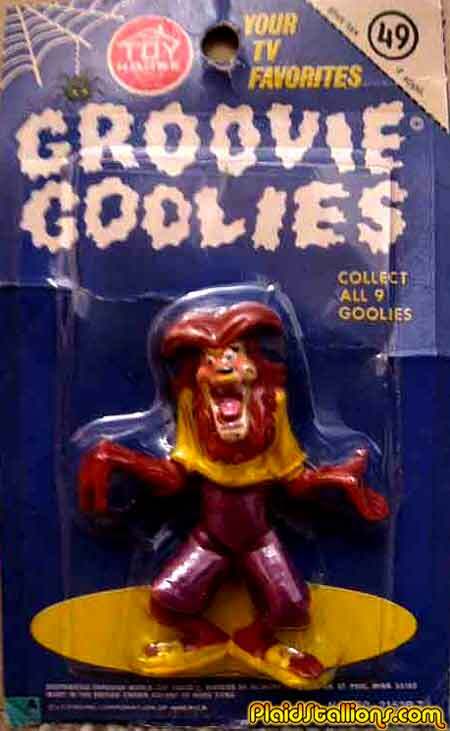 My pal Dan at the awesome website The Terror Trap (this is a timely month for a plug) sent over shots of his vintage Groovie Goolies PVC collection. 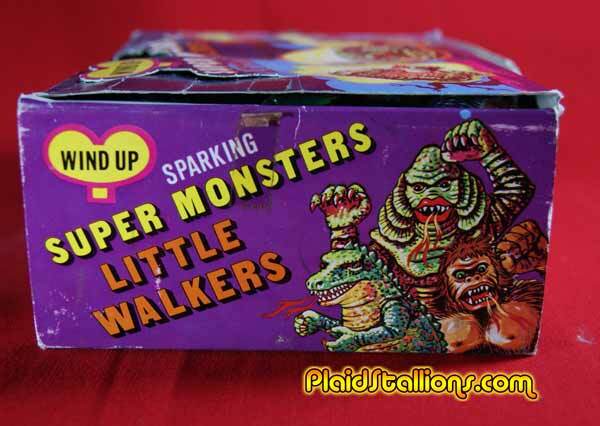 As a lover of mock horror, these are just awesome to me. 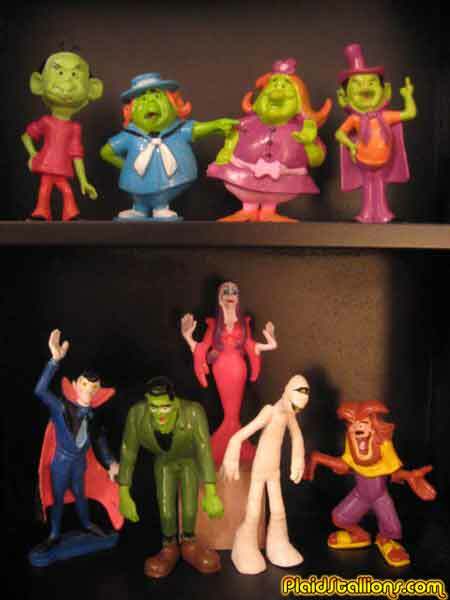 Not many Filmation shows got merchandising so it's really nice to see how perfect these guys look. I pop in the Ghoulies DVDs for my kids quite a bit these days. And if that wasn't enough, David was nice enough to send me shots of how one of these looked on the card. That's forty nine cents well spent. 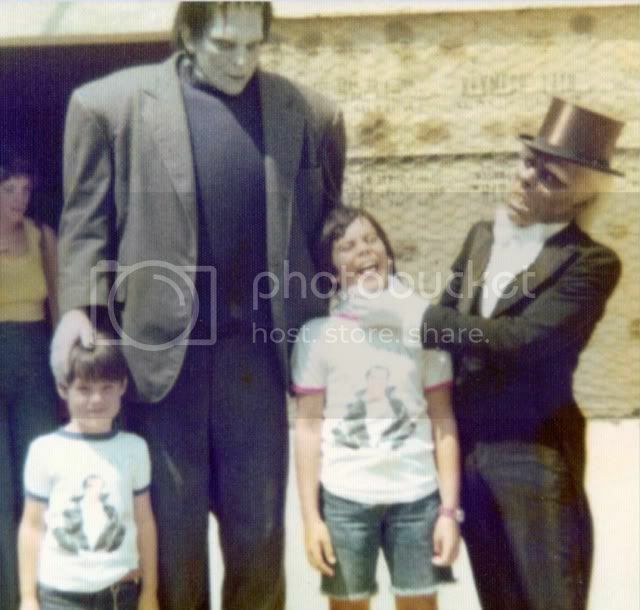 Bill sent in this awesome shot of him getting choked by the Phantom of the Opera at Universal Studios, I'm assuming by the Fonzie shirts this is 1976ish. I rarely get Uni Monster appearance shots submitted, so I absolutely love this. 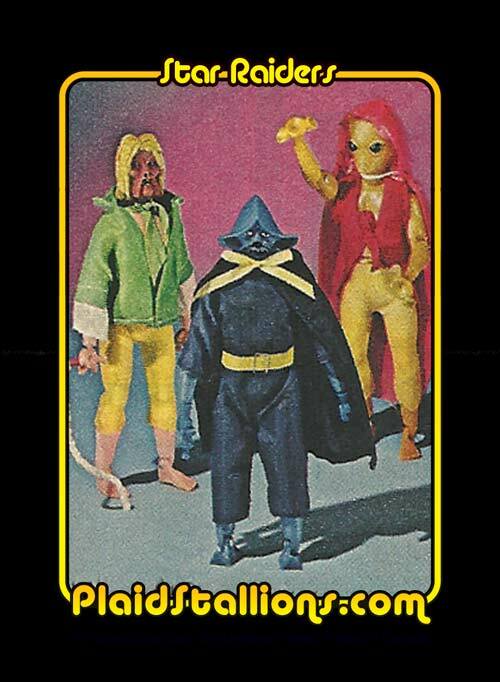 Tomland (a UK Company who was in the Marx family of companies) marketed these fun and strange 8 inch mego-like action figures under a variety of names but the best known is "Star Raiders" which were obviously meant to cash in on the renewed interest in Sci Fi thanks entirely to "Star Wars" coming on scene. 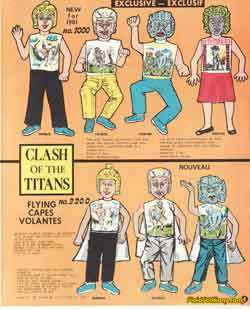 Star Raiders hadn't been Tomland's first kick at the knock off can, they got their feet wet with "Famous of Monsters of Legend" an attempt to cash in on the AHI/LIncoln/Mego 8" Monster craze of the mid 1970s and they followed up with "Creatures from other Worlds" which apes the Mego Star Trek Aliens line. 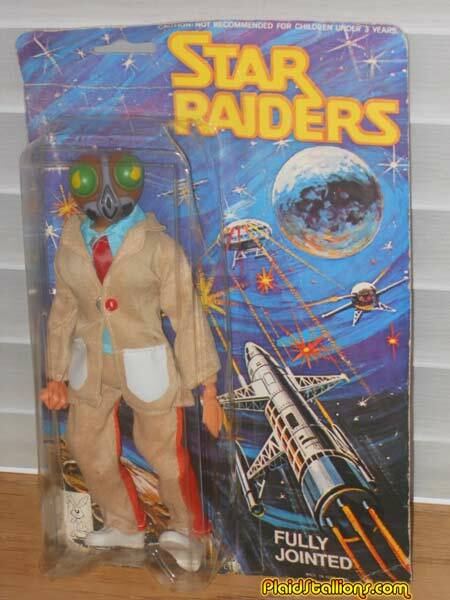 When Star Wars came up, they merely repackaged all of these previous characters, created 8 new, somewhat copyright infringing ones and bundled them as "Star Raiders" and then later "Star Command".